ginger and liquid aminos from Whole Foods. I grated extra turmeric and ginger into the broth for taste. 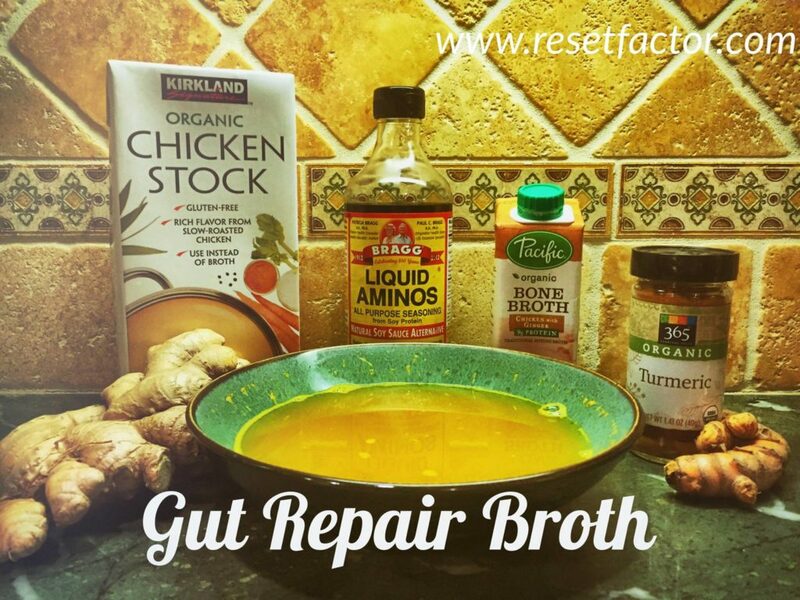 Chicken broth and bone broth- heals and seals your gut for leaky gut conditions. Heat it on the stove. Took me one minute to make and two minutes to cook. In a large soup pot, over a medium flame, heat the olive oil. Add the onion and cook for 3 minutes, stirring occasionally. Add the celery and cook for 5 minutes, stirring occasionally. Add the carrot and cook for 5 minutes, stirring occasionally. Add the ham cubes and cook until lightly browned, about 4 minutes. Add the chicken bone broth and increase the flame under the pot to high. Lower the heat to medium low and simmer for 15 minutes. Add the seasonings and tomatoes. Cook for 10 minutes. Add the beans and chick peas. Cook for 10 minutes. Add the kale. Cook for 10 minutes. Add the escarole. Cook for 10 to 15 minutes, or until desired doneness. If you are adding cooked pasta, place in the pot and heat it through for 5 to 7 minutes. Serve with crusty bread on the side and a generous sprinkle of Parmesan or Romano cheese on top if desired. Cooking time about 2 hours, preparation time about 10 minutes. In a large stock pot over a medium flame, heat the olive oil. Add the garlic and cook for 3 minutes, stirring occasionally. Add the carrots and cook for 5 minutes, stirring occasionally. Stir in the thyme, hickory salt and pepper. Add the ham hock bone broth. Raise the flame to high, and bring the mixture to a boil. Stir in the split peas. Lower the heat to medium low. Simmer for 1 hour, uncovered, stirring occasionally to make sure nothing sticks to the bottom. If the soup starts to get too thick, add more bone broth or some hot water. Remove any froth from the top of the pot. Add the ham and continue to simmer for 30 more minutes, stirring occasionally to make sure nothing sticks and the soup reaches your desired thickness or thinness. Test the tenderness of the split peas by crushing them against the side of the pot with the back of a spoon. They should mush easily. Serve hot with some crusty brown bread. This is a common recipe ingredient in a lot of cookbooks and online recipes these days. Making this yourself will help you avoid the mountains of salt in this type of soup which even the low sodium varieties have. It can serve as a handy creamy base in a variety of recipes. Melt the butter in a saucepan over medium heat and add the olive oil. Add the onions and cook until soft, stirring occasionally, about 6 minutes.Whisk in the flour and cook for 1 to 2 minutes. Be sure not to scorch or burn it. Slowly whisk in the milk and bone broth a little at a time to avoid lumps. 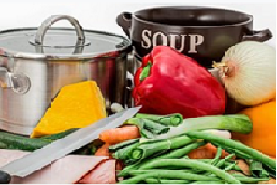 Cook over medium to low heat, stirring often, until the soup starts to reach your desired thickness. Fold in the chicken and heat through, stirring often. Serve as is, or use in recipes such as casseroles. This recipe makes the equivalent of 1 can of store-bought condensed cream of chicken soup. Multiply the ingredients by the number of cans any recipe calls for. Just be sure not to burn the butter and flour mixture. You can substitute celery or mushrooms for the chicken to make your own homemade versions of those popular cream soups as well. In this case, add them with the onions. Leeks or leek and potato would be two other good variations. Process the soup until the vegetables are fully incorporated. This is a hearty stew with a rich gravy. The alcohol will cook off. This makes about 1 quart of stew. It takes about 20 minutes to prepare and an hour to cook. In a stock pot over a medium flame, heat the oil. Stir in the beef. Brown the meat for about 5 minutes, stirring often. Try to brown it on all sides so that nothing pink remains. Pour in the bottle of Guinness Stout. Allow to heat for about two minutes, stirring occasionally. Add the brown sugar and stir to dissolve. Stir in the mushrooms, bone broth, bay leaves, thyme, salt and pepper. Bring the mixture to a boil. Stir well. Reduce the heat to low and simmer 30 minutes or until desired thickness. Stir in the cubed meat, if desired, and heat through, about 5 minutes. Note: The mushrooms will release a good deal of liquid, so keep an eye on the stew in the last 10 minutes to be sure it is not too wet or too dry. If dry, add more stock. If too wet, continue cooking for 3 to 7 more minutes until the desired consistency is reached. Serve on a bed of mashed potatoes so you don’t waste any of the succulent gravy. Serve carrots, or peas and carrots on the side, and boiled new potatoes if you wish. 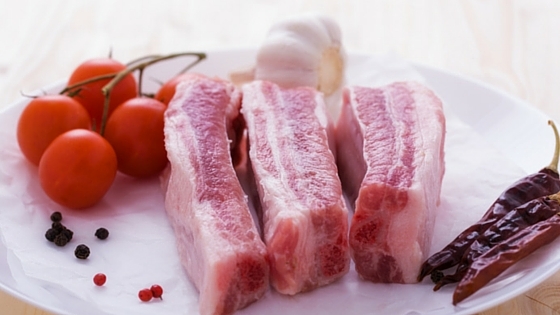 Check your bones to make sure there is no excessive fat or gristle on them. Trim as needed. Place the bones in the large stock pot. Fill with water until the bones are covered. Do not overfill the pot. Bring to a boil. Then reduce heat, to a simmer, add the vinegar, and cook for 30 minutes. If you are going to use a slow cooker, transfer the recipe to it, being careful not to splash or burn yourself. Cook for 12 to 72 hours depending on your method, and the type of bones. Strain through a wire-mesh sieve, or your funnel, lining them with a paper coffee filter if you wish. Or strain through a re-usable coffee filter. Make sure you check the liquid levels periodically to ensure nothing boils dry. Once you have strained the broth, allow to cool to room temperature before placing in bottles or containers so no condensation forms to make the broth watery. The broth will keep for up to 3 days in the refrigerator and up to 6 months in the freezer. In terms of animal bones, look for grass-fed organic animals. After you have eaten the meat off the bones, such as Kentucky Fried Chicken-freeze and store until you have a stock pot’s worth of bones to boil up. Salmon and other fish steaks with the bone in-eat the fish, freeze the bones, until you have a stock pot’s worth of bones to boil up. A combination of marrow and knuckle bones will give you a rich broth with lots of nutrition and gelatin from the knuckles. Feet will yield a lot of thick gelatin. Check the meat aisle in your local supermarket for packages of bones for soup or stew. Ask the butcher to cut your marrow bones into 2 or 3 inch pieces so they will fit into the pot easily. Other sources of bones-any meat you eat with a bone in it. Freeze until you have a full stock pot of bones to boil up. Roast the bones for 20 minutes in a 400F oven to enhance the flavor. Lamb-lamb shank is easy to cook and an excellent source of marrow. Ham bones and ham hocks are perfect for split pea and ham soup. If you know any hunters, ask them for the bones. Try venison, rabbit, wild boar. Ask if they can cut up the long bones into 2 to 3 inch pieces if it is a large animal. Farmed bison will work well; you can buy the bones online. Whole Foods Market-Check the freezer section for bags of bones. 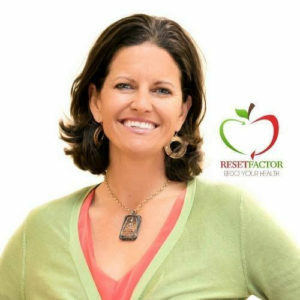 Online-Check for bone broth bones from organic farms and ranches. Local farms-Ask your local farmer to set aside some bones for you. In most cases, these bones will still have meat on them, so you will be getting high-quality food for pennies. 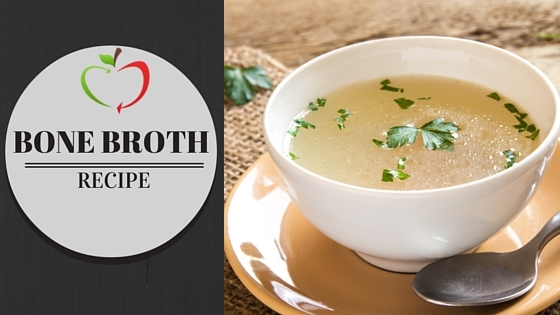 Use this checklist to start making your own healthy and economical bone broth at home. Roast these bones at 450F for 20 minutes before putting in water to give the broth a richer flavor. 1. 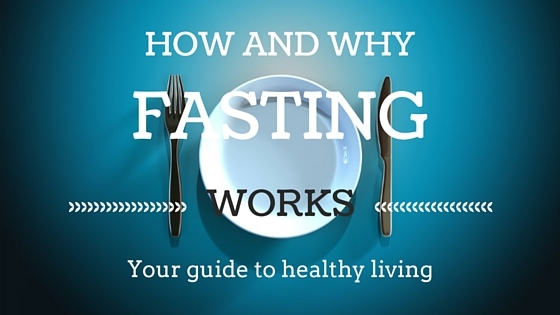 Check your bones to make sure there is no excessive fat or gristle on them. Trim as needed. 2. Place the bones in the large stock pot. Fill with water until the bones are covered. Do not overfill the pot. 3. Bring to a boil. Then reduce heat to a simmer, add the vinegar, and cook for 30 minutes. 4. If you are going to use a slow cooker, transfer the recipe to it, being careful not to splash or burn yourself. 5. Cook for 12 to 72 hours depending on your method, and the type of bones. 6. Allow the mixture to cool. 7. Strain through a wire-mesh sieve, or your funnel, lining them with a paper coffee filter if you wish. Or strain through a re-usable coffee filter. Strain through the sieve. Use the strained items for dog food. Just remember to remove the bay leaf or bouquet garni and check with your fingers for small bone fragments. Poultry and pork feet yield plenty of thick gelatin. 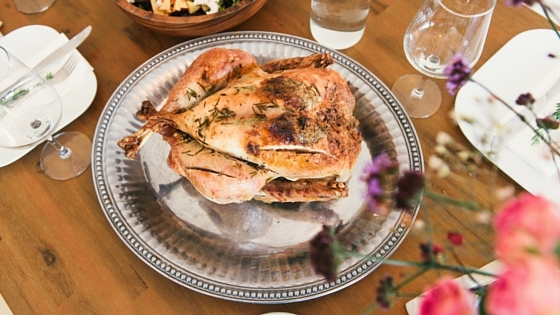 The most nutrient rich bones are poultry feet! A combination of marrow and knuckle bones will give you a rich broth with lots of nutrition and gelatin from the knuckles. Make sure to use organic ingredients, if its beef or lamb it must be grass fed, chicken must be free range and fish must be wild. Preparation Tip! Freeze until you have a full stockpot of bones to boil up. Flavor Tip! Roast the bones for 20 minutes in a 400F oven to enhance the flavor.